Brothers Reginald and Vincent Calloway were born in the 1950s in Cincinnati, Ohio. They grew up around music with a father who played the trumpet, an uncle who played keyboards, and an aunt who sang opera. As teenagers, they began writing songs and forming bands, and in college they formed the synth-funk outfit Midnight Star. The year was 1976. Midnight Star featured vocalist Belinda Lipscomb, guitarist Melvin Gentry, bassist Kenneth Gant, multi-instrumentalist Bill Simmons, keyboard player Bo Watson and guitarist/keyboardist Jeff Cooper. Reginald played trumpet and Vincent played the trombone. Signing to RCA Records, they released their debut album The Beginning in 1980. In 1982 they picked up drummer Bobby Lovelace. Their fourth album, No Parking on the Dance Floor, was released in 1983, and it went platinum. The first single, Freak-A-Zoid, would go to number two. Also featured on the album were the quiet storm favorite Slow Jam and the club favorite No Parking (On The Dance Floor). Their next album, Planetary Invasion, also went platinum and made the pop Top 20 and #1 on the R&B chart with its first single Operator (the band’s only Billboard Top 40 hit). 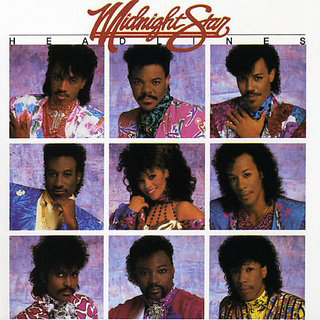 The last hit album by Midnight Star was Headlines, from 1986. It featured the popular Midas Touch. The Calloway brothers departed the group in 1988 after irreconcilable differences with the other members. They formed their own group, simply calling themselves Calloway. I Wanna Be Rich, from their debut album All the Way, hit #2 on the Billboard Hot 100 in 1990. After scoring some other hits like Sir Lancelot, the Calloway brothers moved on to production work.